The Jewish Telegraphic Agency (JTA) likes to think of itself as the Jewish AP. The JTA is a non-profit news service that disseminates the happenings in the Jewish world as soon as they happen. Ideally, they try to scoop all the other news agencies and print media. The long-time publisher of the JTA, Mark Joffe, stepped down suddenly on July 25 and Ami Eden, who was serving as editor, took the reins. The Jerusalem Post reports that there was more to the JTA's press release than was reported. "Over the past two decades, US Jewish media and print journalism in general have been in steady decline due to dwindling readership and loss of ad revenue to the Web. When the recession hit two years ago it dealt a devastating blow to an already weakened industry." The Jerusalem Post interviewed new JTA publisher Ami Eden, who said that ideas for collaboration among the Jewish print media were percolating and would materialize between 12 and 18 months. "I think it's clear that most American Jewish newspapers haven't figured out how to make money online. Why should we not try to create a unified Web presence having one big Web site with a team thats constantly keeping it fresh? We clearly could be pulling our technological resources and sharing the Web traffic. If we're all investing in the same Web traffic, it becomes a great idea," Eden argued and then, according to the Jerusalem Post, declined to go into further detail. 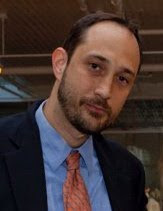 Bob Goldfarb, president of the Center for Jewish Culture and Creativity, writes on the eJewish Philanthropy blog, "The 'one big Website' that Eden envisions could similarly be a shared platform operated by a member-owned JTA that preserves the identities of participating local papers while enabling central coordination of content. JTA editors could select stories from member papers that are of national interest and include those in a National News feed on the platform. That would free local editors to focus on local news and lower JTA's domestic news-gathering costs at the same time. Centralizing site maintenance and advertising sales, while enabling local ad sales and local content control, would reduce costs locally. It also would vastly simplify JTA's national marketing to readers as well as to advertisers. And owning a stake in the shared platform can be a powerful incentive for newspapers to participate in it." As both an avid reader of Jewish newspapers and an uber-connected Web user, I’ve been thinking about many of these issues myself. I’m a Detroit native and have been reading the since… well, probably since not long after I learned read. For decades it was how I fell asleep on Friday nights. Following Shabbat dinner at my parents’ home, my mother would read the DJN, and then I would take it to bed and fall asleep reading it cover-to-cover beginning with the back pages first (obituaries) as is the local tradition. The prevailing joke was that if you didn’t find your own name in the back pages, you could continue reading the rest of the paper! When I come across these news stories in the DJN’s print paper there have already been updates, changes and resolutions. The local coverage in the Jewish papers is much the same. Because of e-mail, Twitter, Facebook, and text messaging, the flow of information is so quick that the news is old by the time it gets in the paper. Funeral homes send out daily e-mails with death notices, and synagogues, schools, and organizations send out e-mail alerts as soon as a death is reported. By the time the deaths are listed in the paper everyone already knows about it and the funeral has already occurred. Life-cycle events like births, bar/bat mitzvahs, weddings, and anniversaries are announced for free on Facebook which makes the announcements in the paper less exciting to read. But all of this shouldn’t be spoken about in negative terms. Maybe it is the demise of print media, especially for regional Jewish newspapers, but this should just force everyone involved to think outside-the-box. I think Ami Eden is on to something. The freshness he brings to JTA should be contagious around the country (and I hope it is). One of the first things Ami does should be convening a meeting (virtual or face-to-face) of all Jewish newspaper editors and publishers to collaborate on his idea of “one big website.” The advertising dollars will be there, I’m sure. This is just another example of how the Internet has removed the borders in the Jewish community. I know I’m not the only Jew who’s already gotten his news by reading the JTA feed and visiting the websites of the Forward, The NY Jewish Week, Haaretz, and The Jerusalem Post before my local Jewish newspaper even hits my mailbox. I have great respect for everyone in the Jewish newspaper business, but let’s focus on the future… because it’s here. I think it's clear that most American Jewish newspapers haven't figured out how to make money online. It is not hard to make money online if you are smart about your approach and you use professionals. The Jewish community is so very smart and yet so very dumb in it is approach to media. Far too many websites look like they were constructed by Moishe Pippick's 12 year old nephew. And the ad sales, well they do a lousy job there. If they had real professionals involved they'd have demographics that outlined the education, purchasing power and strength of their circulation. And they'd have greater reach into advertisers outside of the community. And that is the key. As long as they are limited to shuls, JCCs, camps and Kosher restaurants their is a very tiny pool of money to pull from.